Leah Gallo/Warner Bros. Entertainment Inc. Readers of a certain age will remember Dark Shadows, a cult TV soap opera, later followed by a 1970 movie called House of Dark Shadows. A revival was shown in 1991, and an unaired pilot was made in 2004. Tim Burton, a fan of the series, has remade Dark Shadows, with Johnny Depp in the lead role of vampire Barnabas Collins. The trailer has just been released. 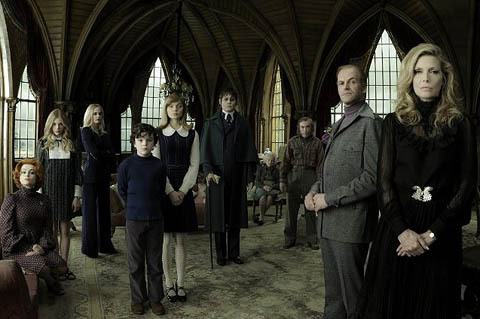 Dark Shadows marks Burton and Depp’s eighth collaboration. Michelle Pfeiffer, Helena Bonham Carter, Eva Green, and Jackie Earle Haley also star. The character of Collins was not in the ﬁrst six months of the show, but was introduced to boost its ratings. He has become so connected with Dark Shadows that in the remakes, including the latest, he is the main character. Copyright ©2011–18 by JY&A Media, a division of Jack Yan & Associates. All rights reserved.